way to create your yearbook? 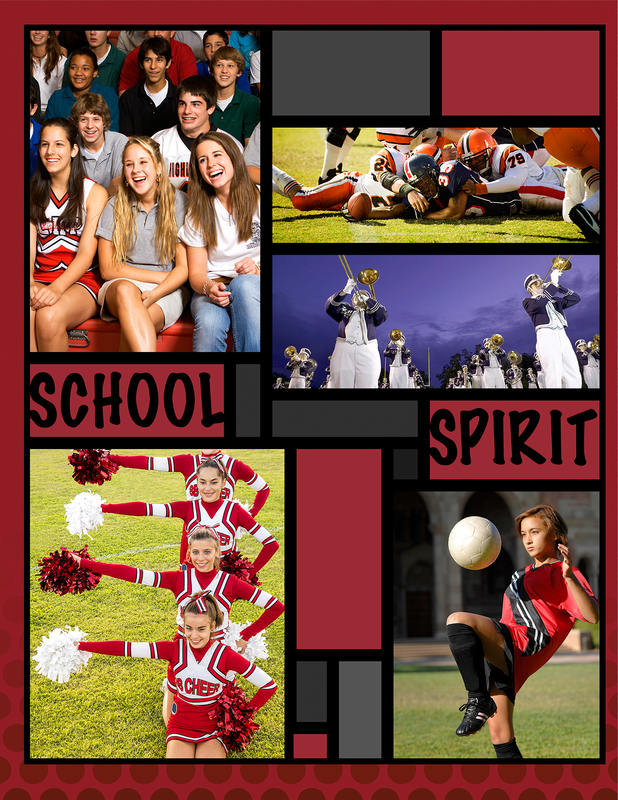 Our most popular design program not only lets you design your yearbook online, but multiple teachers, students and committee members can also work on it at the same time, making it easier than ever to create an outstanding yearbook full of memories. This design program offers hundreds of page layout templates, more than 200 fonts, and automatic functions that make it easy to create your yearbook online. Using our new Type on a Path tool, you can even type text on an arc or in a circle, a great new style feature for 2014! Uploading and organizing photos is simple, and with Image Share, parents can upload photos, too! 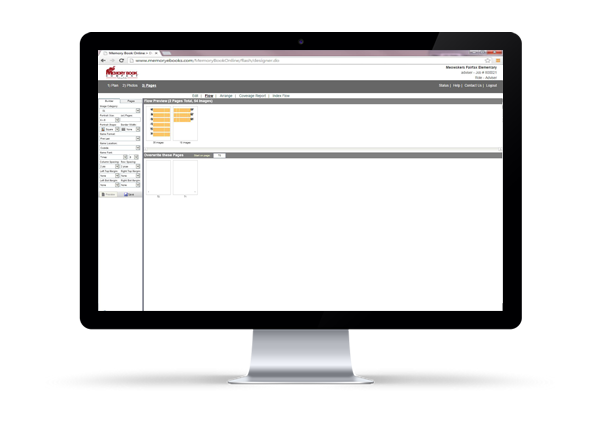 The program features drag-and-drop page building to make the process even smoother, and you can use Automated Portrait Flow for easy, uniform photo and name placement. You can also create your own backgrounds, or coordinate backgrounds that match select standard covers to create a theme. Each account receives a secure login for the advisor and a separate one for staff. The only thing you submit by mail is the photographer’s CD of official class photos. If you’ve ever worried about having enough candid photos to fill your pages, worry no more! With the Memory Book Online™ Image Share feature, you can have more than enough photos and you won’t have to do all the work! Once Image Share is set up, the program will generate a copy/paste e-mail that can be sent out to your parents. This gives them access to Image Share, allowing them to upload images from a link provided. The photos appear directly in your online account. When parents access the Image Share site, they can upload up to 10 images at a time and are required to provide descriptions of the images as well as their contact information. The descriptions that accompany the images allow you to easily sort the photos into the appropriate categories. We’re excited to offer an automated portrait flow option with the Memory Book Online™ program that will make it easy and fun to customize your portrait pages! 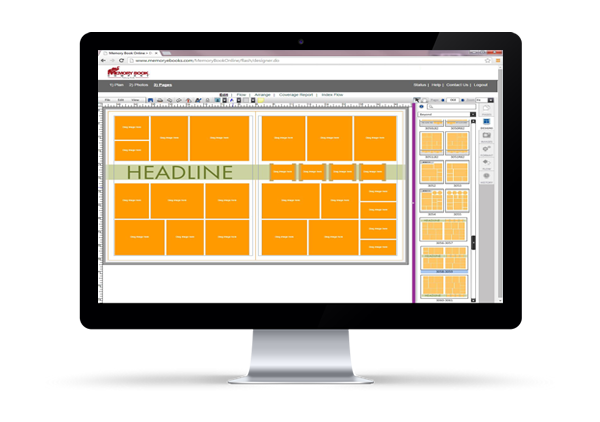 Within the Memory Book Online™ program there are hundreds of pre-designed template options for your portrait pages. Once you select a template, you simply drag and drop it onto the page, select the class you would like to flow into the template, and with the click of a button all the images and names will flow into the selected template. Once the portraits appear on your pages, you can easily add or remove photo boxes and adjust the fonts. 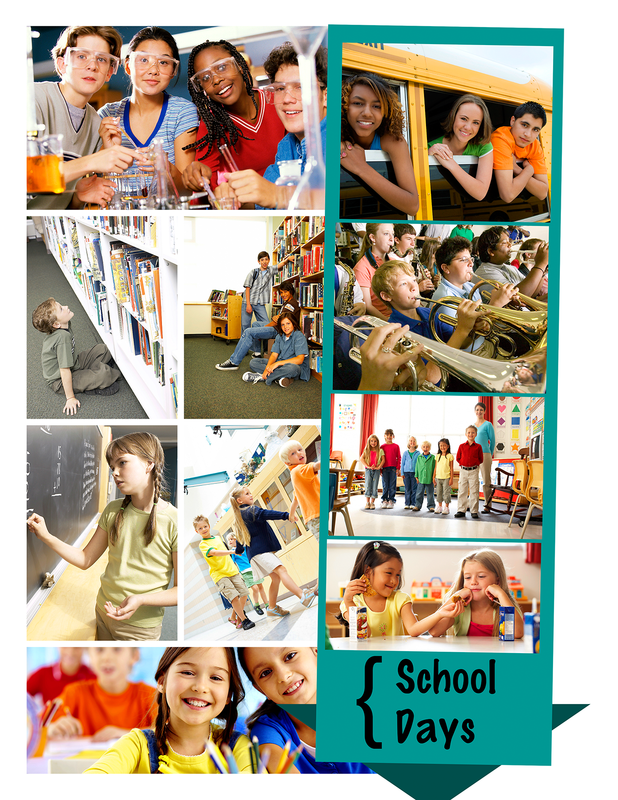 To personalize your class page design you can add a background, clip art images or candid images to your school yearbook online. 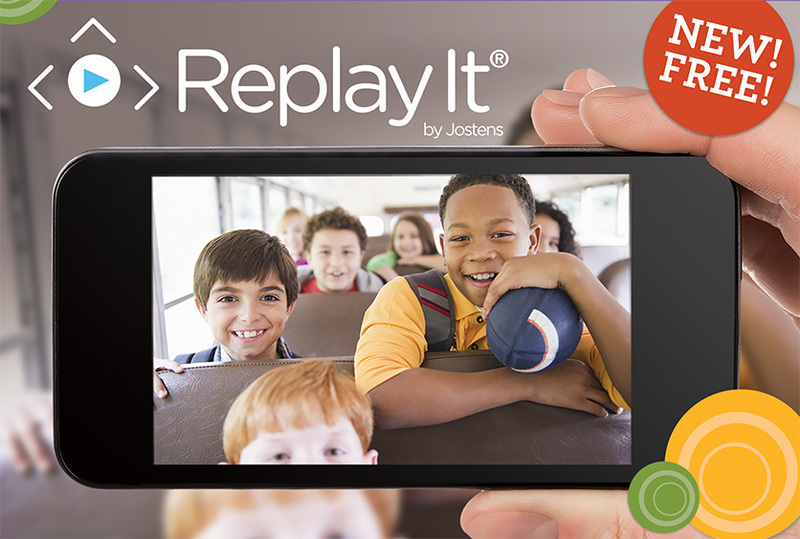 With ReplayIt, parents and teachers can easily contribute photos of students and school activities for the yearbook. 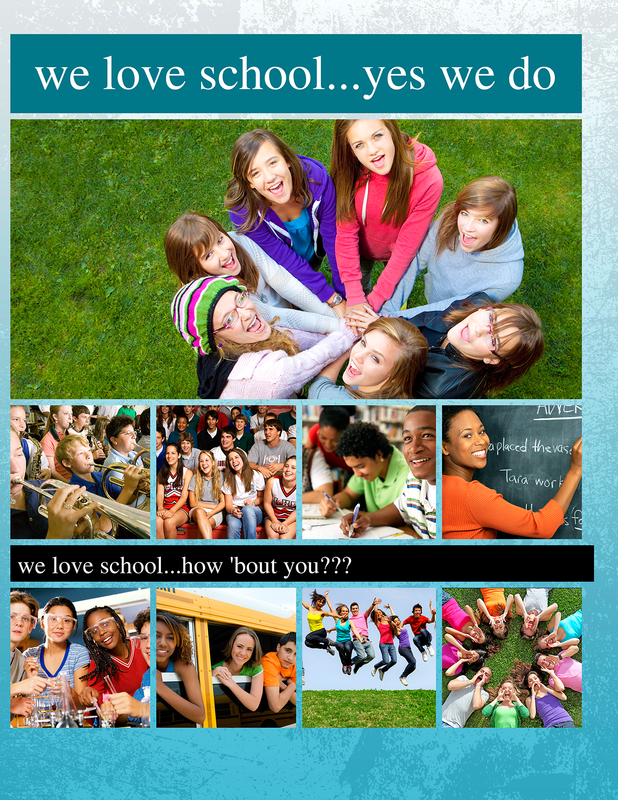 Your school has its own all-inclusive, safe social sharing app for capturing and collecting photos. 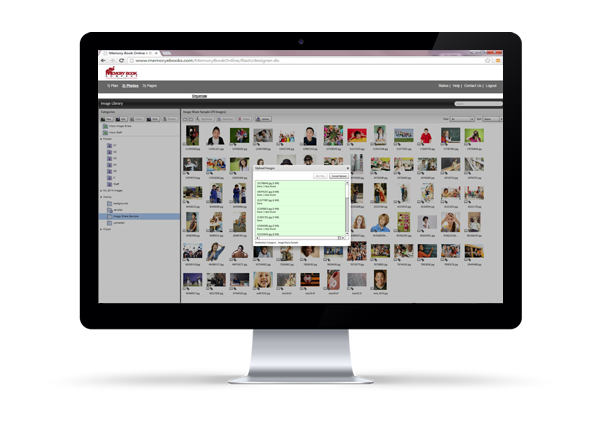 Users can even tag and caption their photos, making it easier than ever to ensure all students are included in the yearbook. 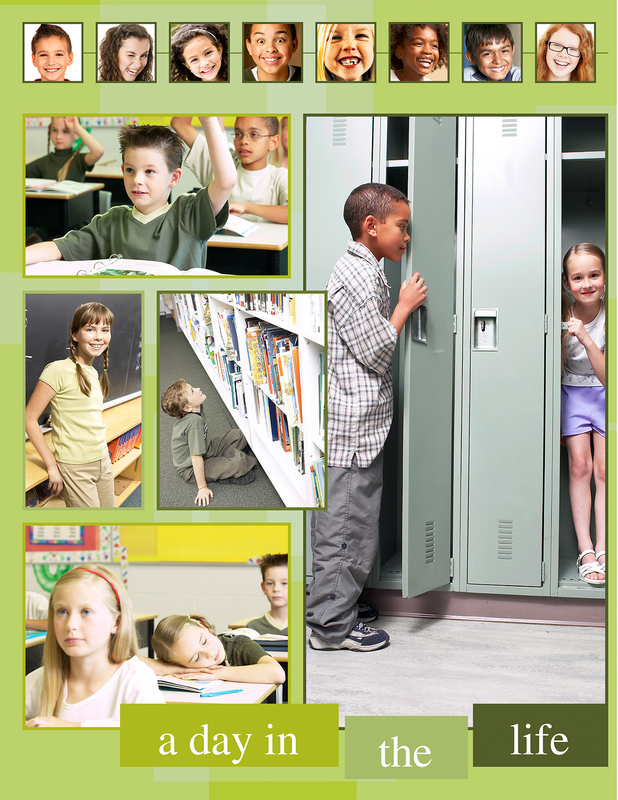 To see how Memory Book Online™ works, view our video at www.memorybook.com today. It's a fun and simple way to make a yearbook online.